A meeting was held at the IVR Lisbon world congress to present the Encyclopedia of the Philosophy of Law and Social Philosophy. The Encyclopedia will be published by Springer. According to the publisher, the Encyclopedia will “cover all topics in the philosophy of law and social philosophy, including the history, theory, and leading theorists of the philosophy of law and social philosophy”. “Featuring specially commissioned entries by an international team of the world’s best scholars, including 2000-plus entries”, it is the publisher’s ambition that this will “ensur[e] its place as the definitive reference work on the Philosophy of Law and Social Philosophy for the foreseeable future”. See information on Springer’s website. 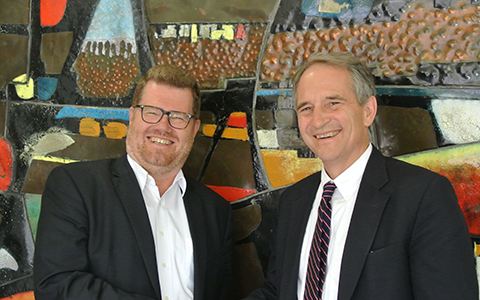 Editors-in-chief of the Encyclopedia are: Mortimer Sellers (IVR president and professor at the University of Maryland and director of the University of Baltimore Center for International and Comparative Law and Stephen Kirste (president of the German section of the IVR and professor at the University of Salzburg). 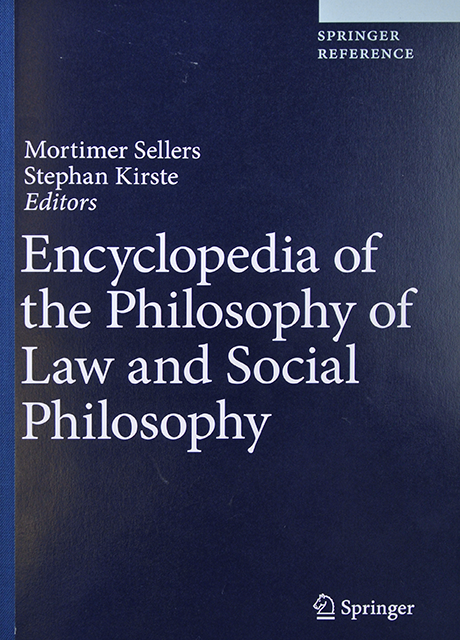 Scholars in legal and social philosophy are encouraged to suggest articles and authors for the Encyclopedia by contacting the editors-in-chief (Mortimer Sellers mortimer.sellers@gmail.com or Stephan Kirste stephan.kirste@sbg.ac.at).